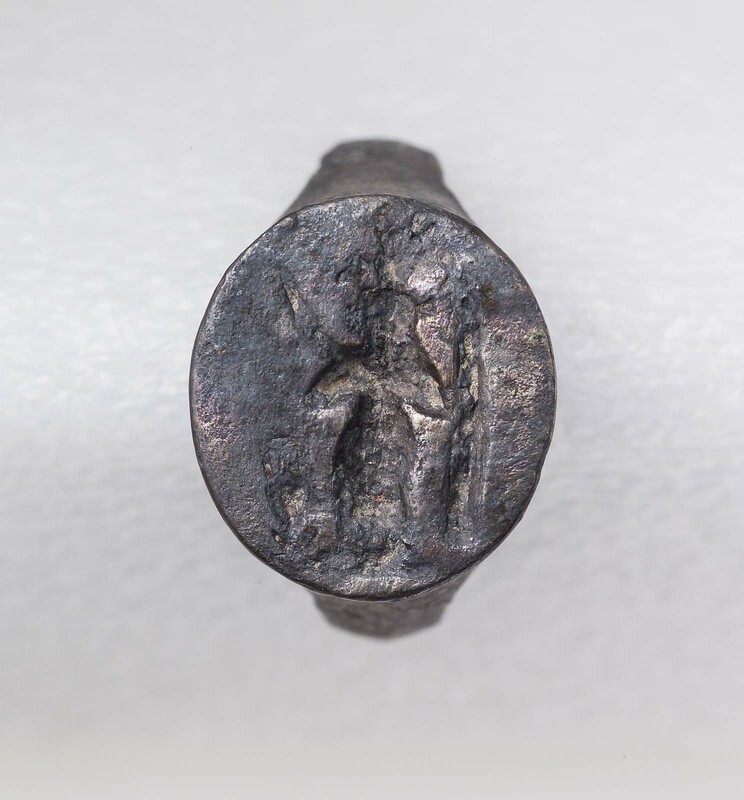 This finger ring has an intaglio bezel that features a seated female figure holding a staff, while a long streamer descends from the back of the head. It was found on the right, dismembered hand in chamber A. All together, there were nine rings on the hand. Another hand in the same area had ten silver rings. Considerable jewelry was discovered in the two subterranean chambers, including earrings, bracelet elements, and glass beads. Some ornaments were enameled. From Beg. North, Pyramid 16. 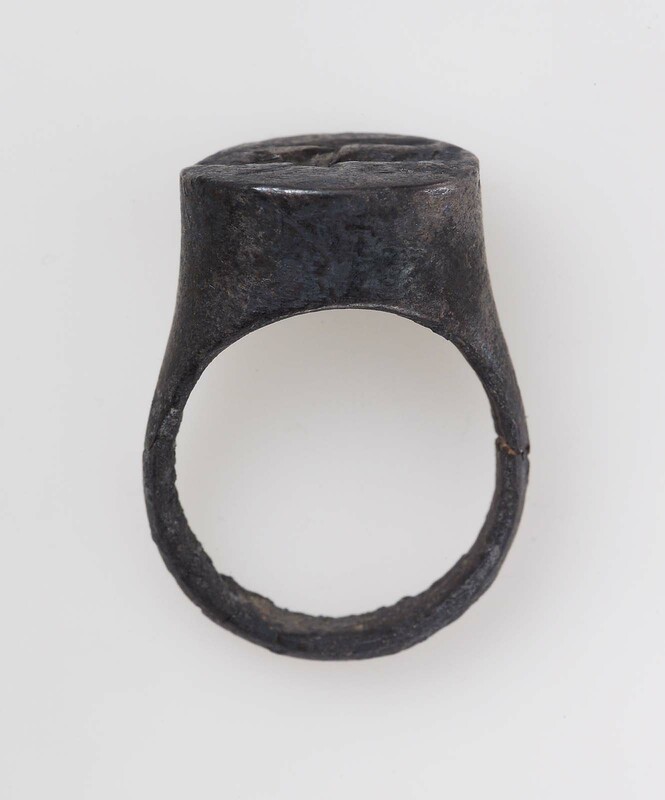 1921: excavated by the Harvard University-Museum of Fine Arts Expedition; assigned to the MFA by the government of Sudan.